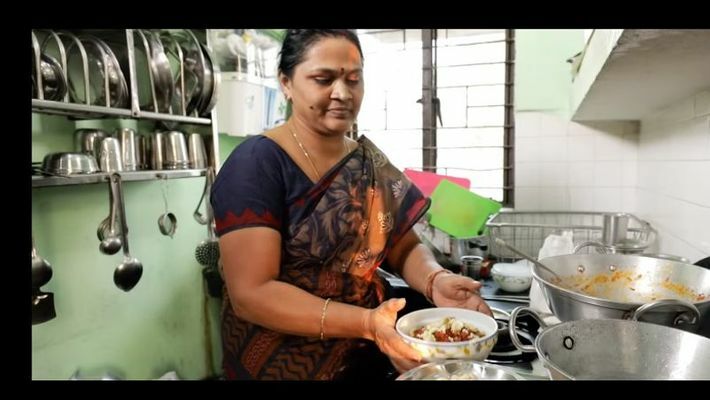 Etikala’s Kitchen is a super-popular tiffin service run by Vijaya Etikala in New Delhi and it all started with 'stale, hard idlis'. New Delhi: South Indian housewife and mom, Vijaya Etikala had a startup dream for long, just like most of us. However, she was unable to act on it, due to responsibilities at home as a house-wife. "Once my husband's retirement was nearing, I started to wonder if I could do anything. My children's friends used to come over often to eat at our house and then I just got a catering offer when I had not even started my business," she says. Also read: Better than soya chaap, will you eat this meatless meat? Can you believe she waited for about three decades to work on her startup? Yes, turns out the seed of Etikala Kitchen was grown in 1992 when she was newly married and had visited Kolkata for the first time. She says, "I went to a South Indian place in Kolkata to eat idlis. They tasted so hard and cost about Rs 20 per piece, that made me think why can't I make idlis and sell them at a cheaper price?" Though she did discuss the idea with her husband, life went on. The mompreneur did have her share of 'Log Kya Kehenge' (What will people say?) setbacks too but in an interview for The Rasoi Project, she ask a pertinent question- Do women not have any value in the society? She then proceeds to answer it herself by saying, "It's often said that women are an important part of the society but there is a huge difference in saying and actually doing things to empower them." Etikala wants to will her business to her daughter as a move to empower her. What a great story...all because someone decided to sell overpriced idlis to this fearless mom.